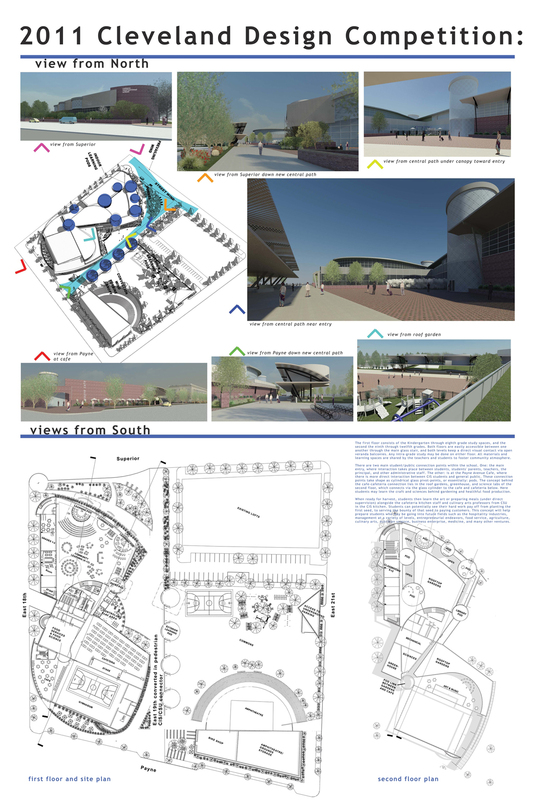 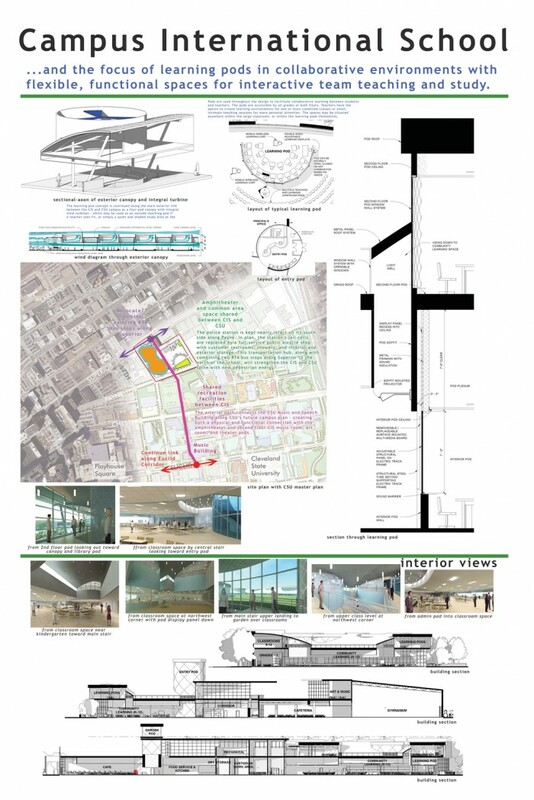 In 2011, Cleveland Design Competition: A New School Vision challenged entrants to propose designs for a new K-12 public school in downtown Cleveland. At a time when educators are implementing dramatic new ideas in pedagogy, curricula and organizational models, the reinvention of learning environments deserves equal attention. 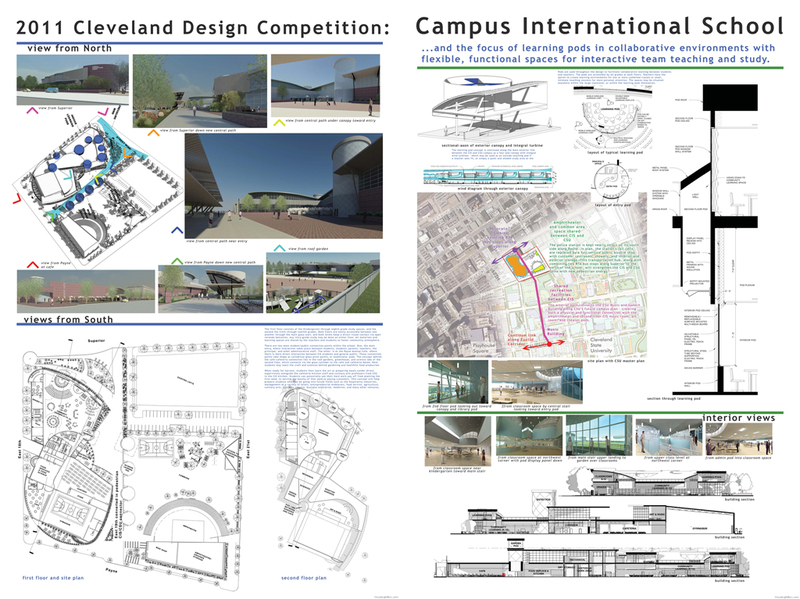 The 2011 Cleveland Design Competition presented an opportunity to re-imagine the school and explore how educational facilities must evolve to provide world class opportunities for learning.